danieleveratti.com – Whatever my brain spits out…a personal web site! Hello! This is Daniele Veratti! I am a Computer Science professional from Varese, Italy! I’m working at Eolo as a software engineer, but I’m also available for some free-lance consulting. 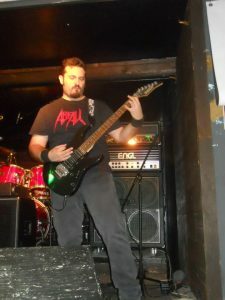 I’m also lead guitarist in a thrash metal band named ABFALL.